Rosh Hashanah this year began in the evening last Sunday, Sep 9. 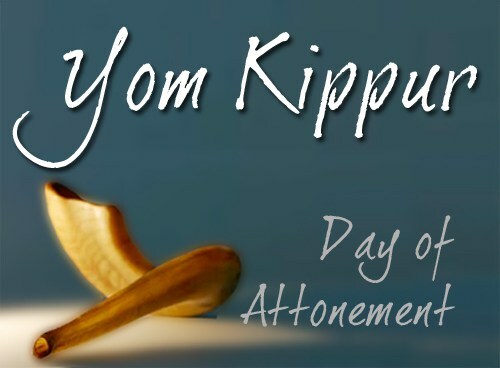 Yom Kippur ended on Wednesday evening, Sep 19. In between were the Days of Awe and Repentance. It's the Jewish New Year. How are you going to live your faith this year? We have options for ways to exercise your caring and compassion muscle on behalf of justice for a bruised and hurting world. We have SJTs -- Social Justice Teams – pick one. Maybe two, but at least one. Our social justice teams each have a chair, or two co-chairs. They each have a leadership core of five people. Then there are the active members, who show up at the monthly meetings and at events that are the work of the team, who answer and share emails about the team’s activities. Finally, each social justice team has its “on-call” list. These are the folks who don’t go to most of the monthly meetings, who quickly skim and delete the emails about the team’s activities and deliberations, but who have agreed to be “on-call” – to receive those emails, and willing to be called upon for those times when a big project needs all the help it can get. As we think about the new year and atoning, let us consider how we will, in the coming year, engage in healing the world -- tikkun olam. Our SJTs provide us with structures and resources for making a difference, for healing the world, for nuturing our spirit -- for nurturing our spirit BY healing the world, even as our worship experience help us heal the world BY nurturing our spirit. Once more Atonement Day has come. We stand on holy ground, between the day that was and the one that must be. Last year’s confession came easily to the lips. Will this year’s come from deeper than the skin? Say then: why are our paths strewn with promises like fallen leaves? Say then: when shall our lust be for wisdom? Say now: Love and truth shall meet; justice and peace shall embrace. No, none of these, says Micah. So let us be recommitted in the year ahead to doing justice, loving kindness, walking humbly the way that seems most right. The invitation of Yom Kippur is to reflect on how, in the New Year, to go deeper – deeper into connection, care, love. And thereby into a fuller life of joy and peace. Yes: next year we will confess the same faults. That doesn’t mean we haven’t done better – it might mean we’ve raised our standards on ourselves. Last year’s work was too easy only by the higher standards we are now expecting from ourselves. And it’s not all on you. Peace and justice must be built together, collectively. There’s a name for this constant re-adjusting of our balances and our expectations for ourselves, constantly seeking to care more and more effectively: it’s called life. May you be inscribed in the book of life. G'mar Hatima Tova. This is part 3 of 3 of "Living Your Faith"